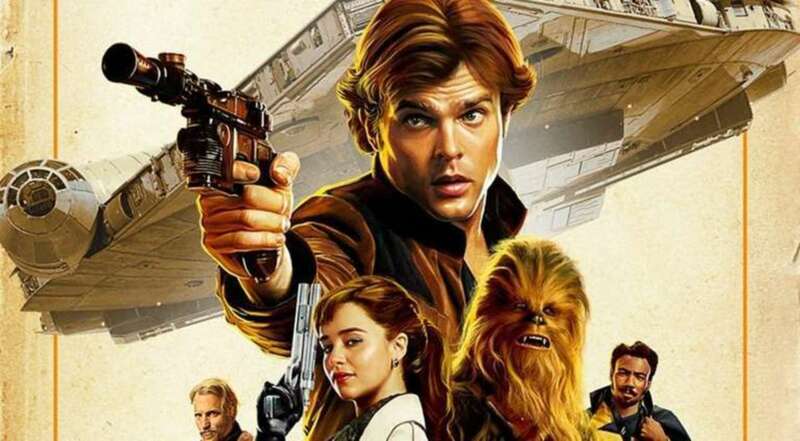 The news of Solo: A Star Wars Story's box office failure have been greatly exaggerated. Although the film didn't set any major records or do nearly as well as Disney and Lucasfilm had expected, it wasn't necessarily a flop either. It just didn't do what a normal Star Wars movie does. Whether that's from franchise fatigue or the divisiveness of The Last Jedi or the timing of a holiday weekend release, no one truly knows. However, analysts are saying that the movie's box office woes might see a light at the end of the tunnel in its second weekend of release. With no other major tentpole movies hitting theaters this weekend, Solo is expected to defy the odds. Where most big budget blockbusters see a massive drop off, most are now thinking that the latest Star Wars could actually make up some of its bad first weekend numbers with an estimated domestic three day of nearly $60 million. Some good word of mouth by the public seems to be helping waning interest which could also help it spike this weekend.